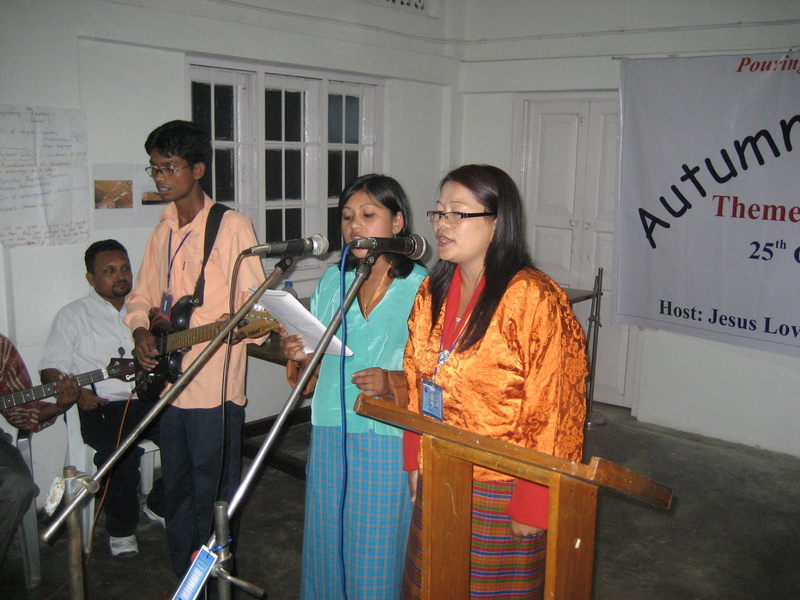 We work with evangelists in North East India (mostly south of Bhutan), in Bhutan itself, and also in Eastern Nepal. Our contacts are Robert and Atula Singh of Jesus Loves Gospel Ministries. We have known and worked with them for nearly 30 years. India with its current Hindu government has in the last few years become increasingly hostile to all religions apart from Hinduism. In the past Christians enjoyed much religious freedom. But now there are increasingly more restrictions. 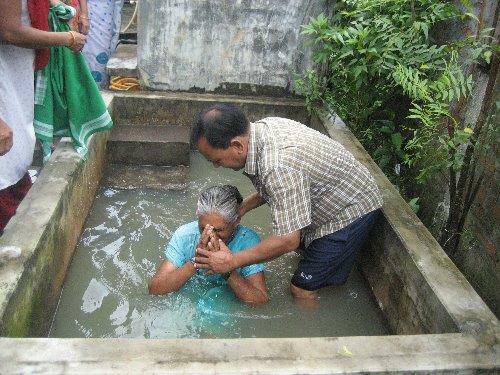 In the past, ex:in the eighties if someone was caught baptizing in Nepal they would receive a two year jail sentence. Now, however, Nepal has religious freedom. Bhutan is a Buddhist country. In 1989 the government decided to drive out all non-pure Bhutanese. If a person was a minority living in Bhutan they were driven out. In the daytime Bhutan was the peaceful “Shangrila”. Once the sun went down people were beaten and raped until they decided to sign papers saying that they were “voluntarily leaving” the country. For many years these people were then living in refugee camps in Nepal. Once they were in the camps in Nepal then Christians were able to freely preach. Thousands of these people then became believers. Now most of these refuges have been re-settled overseas. You might even have some of these refuges in your community. There are many changes with shifting from living a lifetime in a refugee camp to life in the west. This is a good opportunity for us to do missions right where we live. Even the small town in America where one of the founders of Autumn Rain International grew up now has a Bhutanese fellowship in the local church! Robert got saved in Bhutan’s underground church in the year 1978 when working as Mechanic in a hydro project. 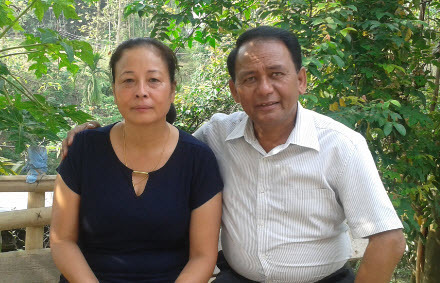 He received a called for full time ministry and was led to Nagaland, North East India where he trained at Discipleship Bible College at Dimapur to equip himself for the ministry which God had called him to do. There he met his wife Atula. In 1987 Robert met a young man from the USA who had a vision to bring gospel to Bhutan. Ever since, Doug and Robert have partnered for the sake of the Gospel in the Himalayan Regions. Doug and Julie lead Autumn Rain International and Robert and Atula lead Jesus Loves Gospel Ministries, (Autumn Rain Himalayas.) These two ministries networks have resulted in the Gospel being advanced in the Himalayan Region and many new churches have been established. Robert and Atula are on the front lines, preaching and training evangelists in the very remote areas, often facing persecution and hardships, to reach the unreached for the Gospel. With so many millions of people to reach Robert and Atula’s strategy is to train as many believers as possible to become evangelists in their own region. So far they have trained over 1,000 young leaders and they are reaching many remote villages that we would never have the means to reach. 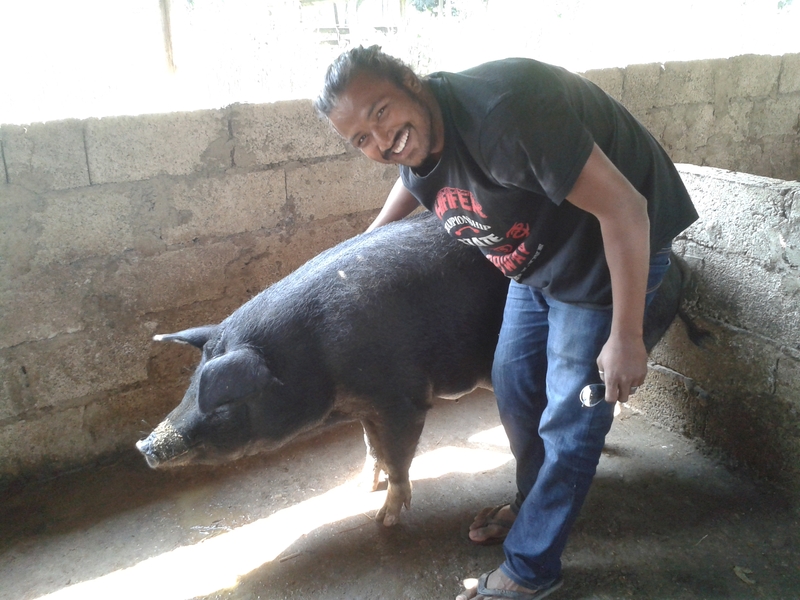 By partnering with Robert and Atula together we are able to do so much more. We welcome your support and involvement. For believers in the Himalayan region we feel one of the best ways for us to work with them is to support the annual Autumn Rain Bible School held in Nagaland each year. 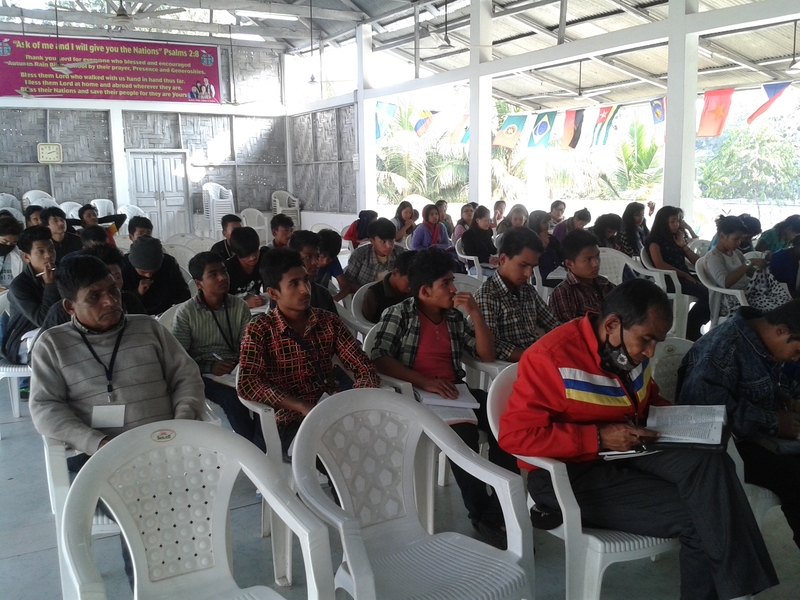 The teaching is primarily done by local Christian leaders. Once the course is over they then head back to their villages. These are often very remote areas. If you are interested to help support new believers to attend this please let us know. Another way that we can build up our brothers and sisters is to support them with no interest loans. Some of the projects that we have done so far are pig, chicken, cow, small shop, coal transport business. (Men on bikes). These projects are small scale. We work with a young man named Joshua Ao His parents are evangelists. He has travelled extensively with them helping to visit believers in the refugee camps and in many far away villages. He has also seen the financial struggles that they face. Joshua has worked with Autumn Rain International for several years and travelled to many other Asia countries where we work. He has obtained a M.B.A. at The Institute of Chartered Financial Analysts of India University of India, Sikkim. His desire is to “give a hand up, not a hand out”. If you would like to help to support a new project please let us know. Vietnam also has many underground churches and persecution of Christians. 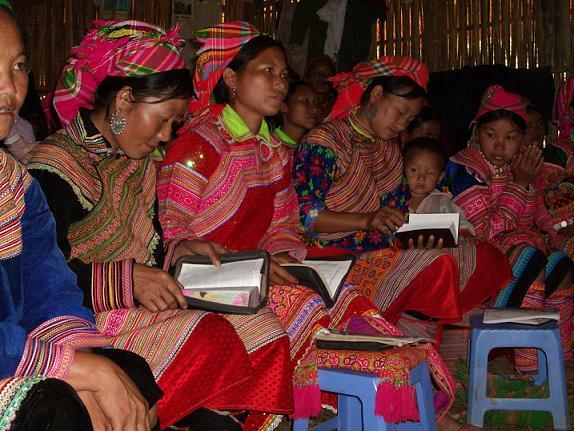 In Vietnam usually the Christians who read Vietnamese are able now to obtain a Bible. For those who belong to the minority groups for them it is much harder to receive a Bible. During the Vietnam War the U.S. government tried to arm the minorities against the Vietnamese. This has caused a lot of division in the country and even to this day the minorities are treated worse. We do not wish to take political sides but we just want to supply those who are in need of Bibles with them. For Vietnam we supply Bibles and MP3 players in minority languages. If you would like to join us on a team carrying these into the country please get in touch with us. China is a great nation with a civilization going back 7,000 years. In the eighteen and nineteenth century many missionaries went to China. When the Communists took over in 1949 and then with the subsequent Cultural Revolution foreign missionaries were driven out, Churches were closed and Bibles were confiscated. Many in the West thought that Christianity had died out. When China opened up again in the late seventies to the amazement of many the church had actually grown! With the churches closed believers had to meet in homes. With meetings in homes the Gospel was taken out of the four walls of the church and brought to the places where people meet i.e. their homes. Thus the birth of the house churches. China has experienced extra ordinary church growth. In China often a person will tell their friends about how they found Jesus and how their life was changed then their friends also want to follow Jesus. Soon they have a house church. In fact often times the pastor is a young woman. Persecution only strengthened the believer’s determination to follow Jesus. Even when they were being persecuted the fact that they stayed strong and did not deny Jesus was a testimony to many and the church grew. Then there was a lack of Bibles. For many year groups like us have been carrying in Bibles to help to meet the need. China prints Bibles, in fact many millions of them. The problem is that most of the Bibles that are printed in China are in English and other languages and made for export! If you go to your local Christian book store and go to the Bible section and look where they are printed you might be surprised. For the everyday believers in China if the live in a large city they can often get a Bible but if they are from the country then there is often a lack. We believe that all believers should have at least a copy of God’s Word to read. If you would like to help with the cost of printing or transporting Bibles or if you would like to come yourself to carry them in please get in touch with us. Once the Bibles are printed they are then shipped to us in Hong Kong. From here you can travel into China carrying God’s precious Word. You can travel daily if you like. It is not illegal to carry Bibles to China but sometimes the customs agents will tell you “you have too many for personal use” If that is the case you can take them back to Hong Kong and then travel again the next day. Every day the borders are full of people carrying things to China. Usually it is things like baby formula to sell for a profit. We do not sell the Bibles. We receive them for free and we send them to China for free distribution. For China we supply regular Chinese Bibles, Chinese Study Bibles, Chinese large print Bibles China Bible School on DVD and from time to time children’s books and other teaching books. We also operate a warehouse where we receive Chinese Bibles and we freely distribute them to other groups as well. If somebody is blessing China we want to bless them as well. Back in the Vietnam War the U.S. government conducted a secret war in Laos. They were trying to cut off the supply lines coming from Laos. The U.S. Government dropped more bombs on this country per capita than any other country in the world. As in Vietnam the conditions of the monitories in Laos is also worse than for the Laotian speaking people. Laos is a very poor country. Most of the people are substance farmers and if they have a good crop they can sell the grain for a profit, usually for a few hundred USD dollars per year. For Laos we carry in and deliver free of charge Laotian Bibles and minority Bibles. On my last visit to Laos I was interviewing a number of young evangelist. I was asking them to tell their story of how they found Jesus and how that changed their life? Many of the stories were very similar. These stories are of young people living in the very rural hilly tribal areas of Laos. They said that they had become rebellious to their parents, and they started to take drugs and chase the girls (or boys if it was a girl telling the story) Then they found Jesus and now they are off drugs and learning a new skill (in this case is was farming) and now they want to be trained to preach. Aside from the cultural and language barriers we humans are all the same. We all experience the same struggles and temptations. We all need Jesus. Only Jesus can forgive our sins and give us new life. I believe that we as westerners if we can work together to print and deliver the Word of God. Christians in Asia can then read a Bible for themselves and hear from, and get closer to God. 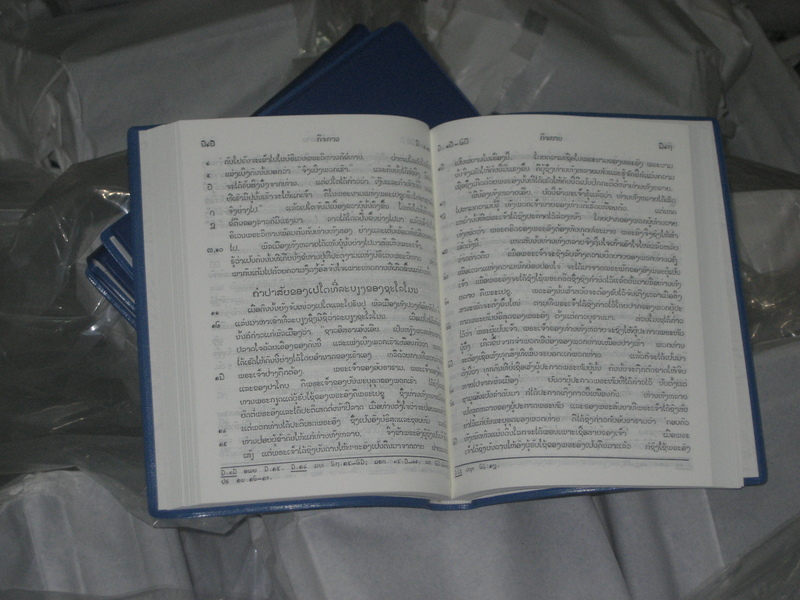 Once when I was carrying Bibles into Laos we had the opportunity to deliver these to a village. As it was quite warm in the south, we just had on shorts and a tee shirts, after two days of driving and meeting with believers we were now in the hill areas. It was very cold there. We were taken to a man’s bamboo hut. We had the opportunity to bring him Bibles for his village, he was very appreciative. Through a translator he told us of how when he became a believer the police surrounded his village and tried to force him to renounce Jesus he refused and so he was taken to jail. Believers had to bring him food every day. Jails in some Asia countries are not like in the west where food is included. If food wasn’t brought the prisoners would then starve. After a few years he was released. He had lost everything during that time, his house, his family all his possessions. He was now a free man again and he had a nothing but a bamboo hut. It was very cold in the hills, their best food was very plain, just sticky rice but what a joy to meet this man. What astonished me was his joy! He lost everything but now he had something better. The Bible says that if we are persecuted with Him we will be glorified with Him. (Romans 8:17 It was such a blessing for me and my friend to meet that man and experience his joy in the Lord we were very cold and hungry but to experience his joy was well worth it. We have all heard about North Korea in the news. We have heard of the extreme conditions in that country. 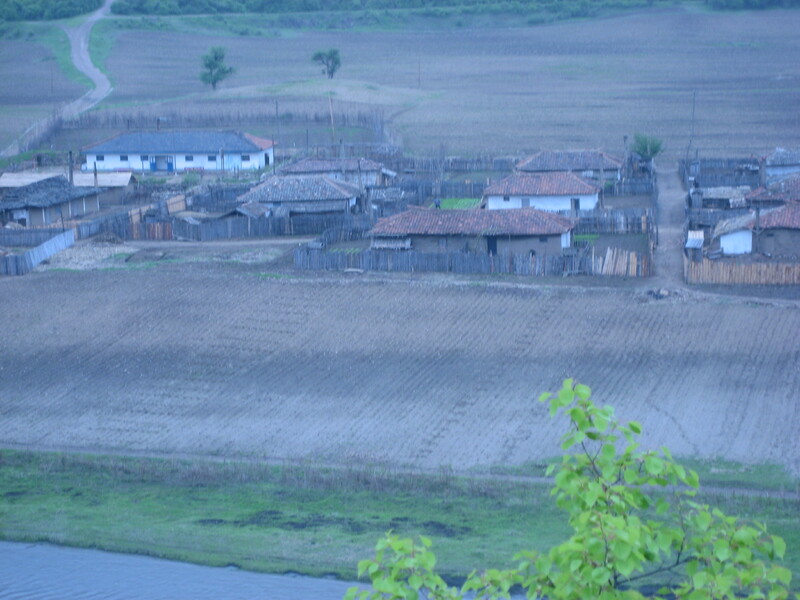 In spite of the harshness of persecution there are still believers in North Korea. North Korea was once called the “Jerusalem of the East”. Then the Japanese came in and the people hoped the Communist would save them. Now North Korea is probably the most oppressive place on earth, even for a non-believer. For Christians they can often face death or a prison camp. Still they preach the Gospel. Do to the extreme conditions we do not actually lead teams into North Korea carrying Bibles. The work we do here is in conjunction with other Korean groups, these are some of the bravest people on earth! One thing we can all do is to pray for North Korea. When God moves countries can change very fast. We need to pray. Sometimes Christians will make a trip to North Korea on an official tour. They can pray as they go. Another way is to pray on the China side along the North Korea border. You can look across the river and see the people working in the fields. You can hear them taking. We can pray everywhere but we think it is strategic to pray in and near the country. If you would like to do something for North Korea please contact us and we can put you in touch with people who have contacts working there.